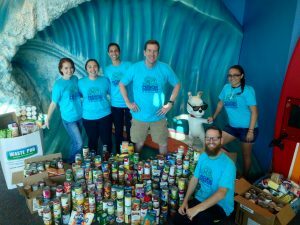 Pediatric Dentistry of Ft. Myers, Dr. Tim Verwest, DMD collected 930 lbs. of can-food donations during their “Touch-a-Truck’ event. All food collected will benefit the Harry Chapin Food Bank of Southwest Florida.